guide you through a personalized study path to help you to master specific concepts in math or English. identify colleges, universities, or programs that are appropriate for your skills and interests. prepare you for specific standardized exams, such as the ACT® or SAT®. 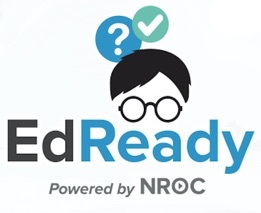 determine your readiness to take college-level math and/or English courses. provide the resources you need to improve your math and/or English knowledge. help you to manage and achieve your academic and employment goals.